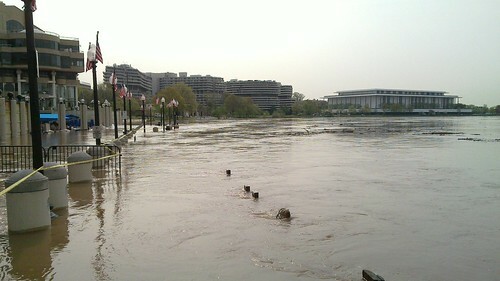 That’s Washington Harbour right now, currently underwater due to massive flooding along the Potomac after last Saturday’s heavy rains. Don’t they have flood gates down there that rise up? Did they just not think it would be that bad? Yeah, in fact, at left in the first photo you can see one of the barriers up. I don’t know why they didn’t get them all up; the Harbour is usually pretty on the dot about raising the barriers before a flood watch takes effect. 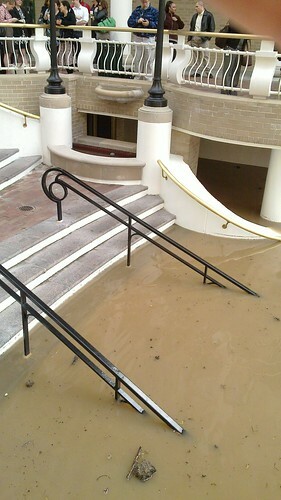 Early reports are the flood walls failed. 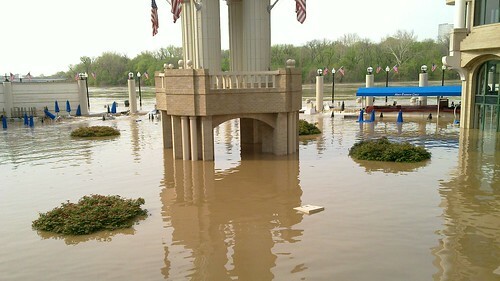 Not sure if they got them all up now but the rirising still rising. Fedward’s Social Chair and I were down there Friday evening and I remarked even then that I thought they should raise the flood gate. 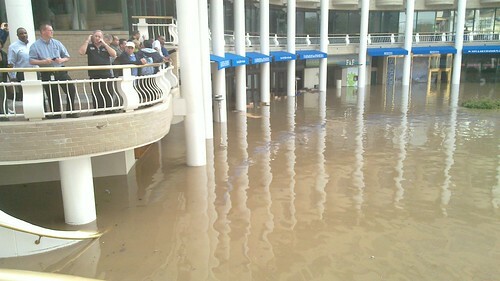 The water level was too high even BEFORE the rain on Saturday. But now where will all of the international guidos go to get their overpriced mojitos on Wednesday nights?